Buses on Route 4 travel from the Central Terminal in Hamilton to Spanish Point, a predominantly residential area just west of the capital. 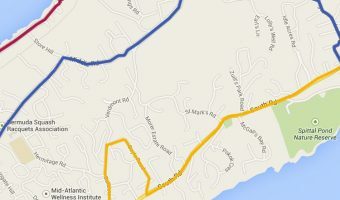 Few tourists use this route other than those visiting Admiralty House Park and Clarence Cove. The total journey time from Hamilton to Spanish Point Park at the tip of Pembroke Parish is around 15 minutes. The journey from Hamilton to Admiralty House Park takes just 10 minutes. The map below shows the route taken by buses on Route 4. Click here for an interactive map showing points of interest and more.